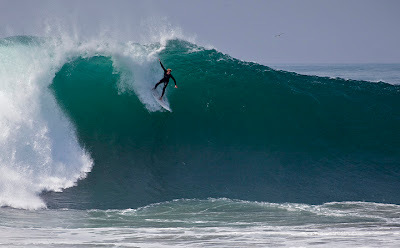 Giant surf with faces up to 25 feet tall grace Newport Beach's the Wedge. 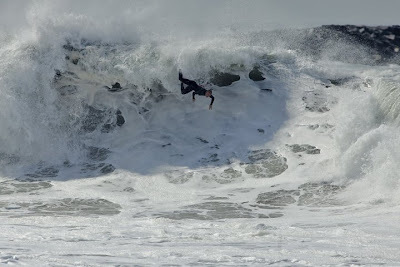 Surfers from all over, some even flew in from Hawaii, attempted to ride the massive waves. A huge storm off of the coast of New Zealand sent wave and wind energy across the Pacific Ocean that landed on southern California's south facing beaches. The waves are expected to last until early Monday. 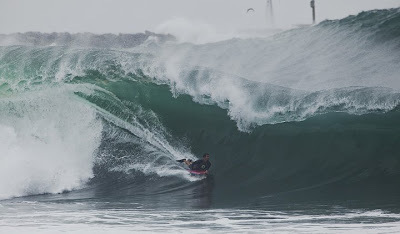 One body boarder was killed in the heavy surf on Friday when he was pushed into the rock jetty by the giant surf. Crowds of onlookers on the beach ooohed and ahhed at the surfer's talents. 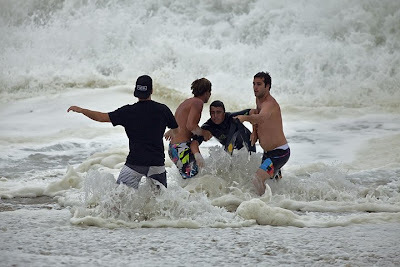 Several rescues took place every hour during low tide this morning.